VANCOUVER — This was personal for the Union Titans. 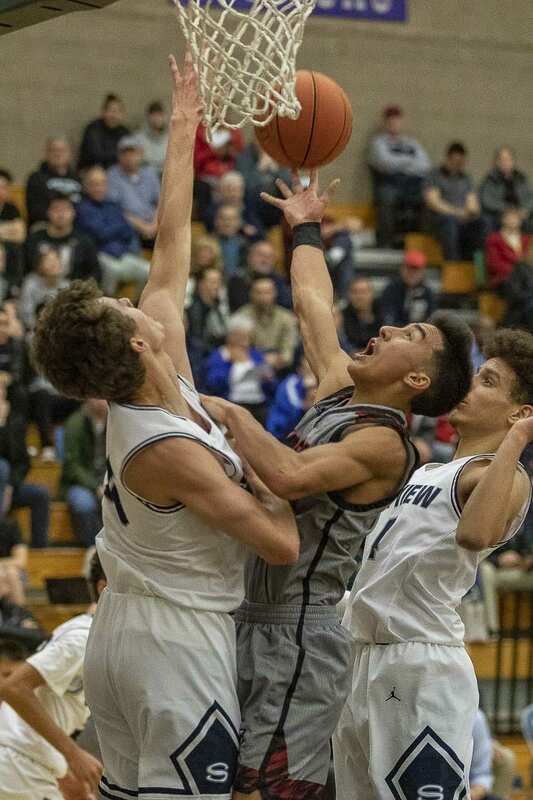 They are the dominant boys basketball program of the decade in the Class 4A Greater St. Helens League, and they wanted to remind everyone of that fact. Sure, they shared the league title last year with Skyview. Sure, both of those teams made it to the state tournament. And this year, both teams are clearly among the best in the state. 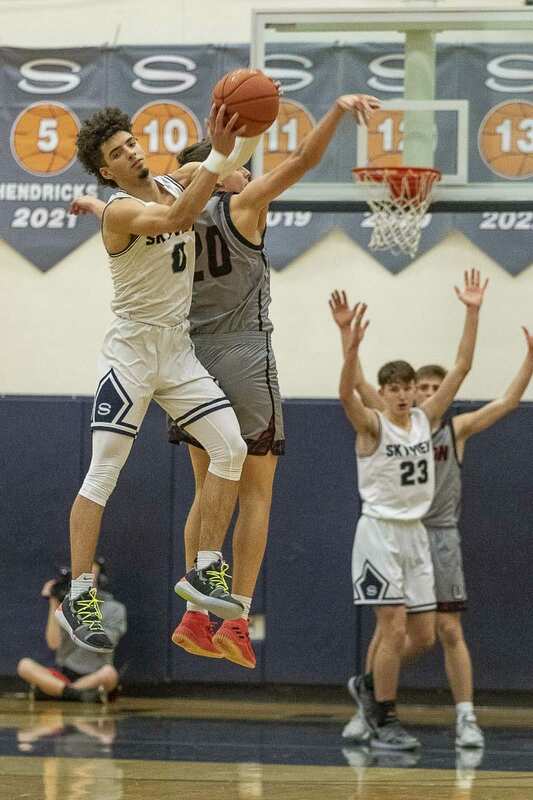 It’s just that before this season started, at least from the Titans’ point of view, all anyone was talking about was Skyview. So yeah, Tuesday night was more than a typical league game for the Titans. And it is Union that now has the upper hand, at least for the moment, in a very competitive league. 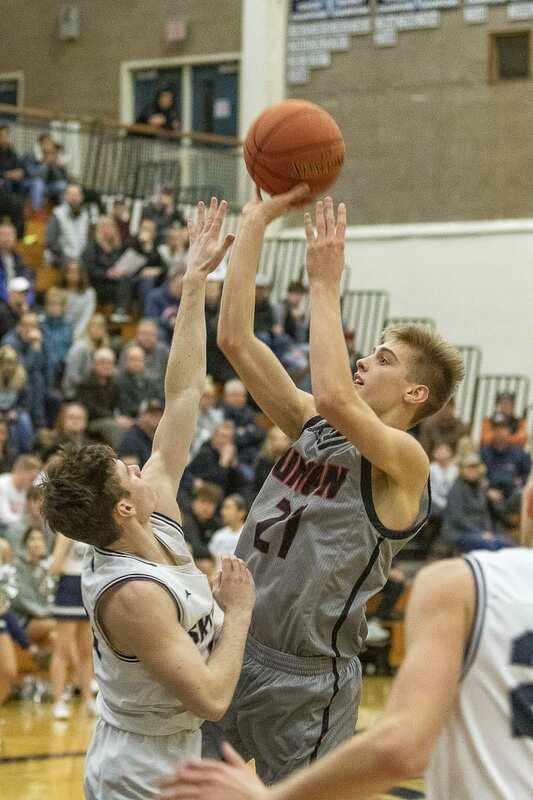 Ethan Smith scored 23 points, Tanner Toolson did a little bit of everything, and Houston Combs finished with 15 points and nine assists, leading Union to an 83-79 win over the Storm. 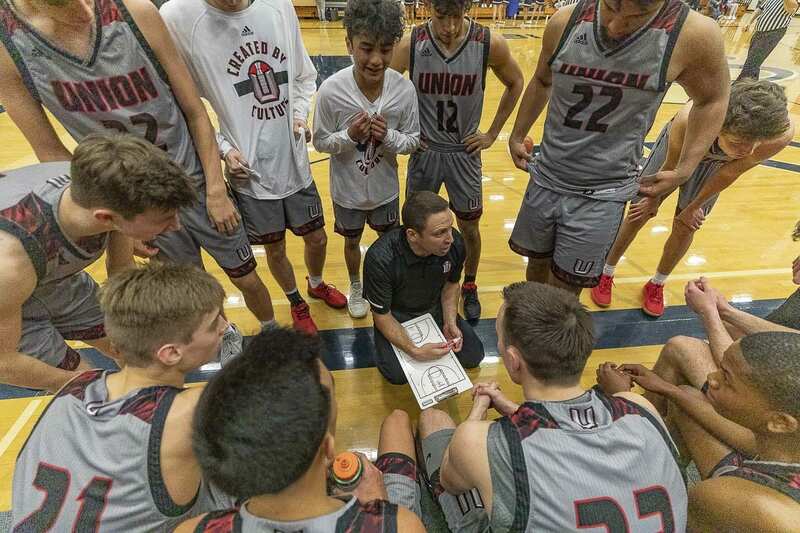 Union improved to 16-0, 4-0 in league play. Skyview fell to 12-4 and 3-1. It might seem strange that a Union team could be overlooked. After all, the Titans are No. 1 in the state’s RPI index. Toolson explained that he meant that is how it felt headed into the season. Smith went into more detail. “We saw some polls, and we weren’t even in the top 10,” he said. At least for a night. No one from Union is claiming total victory, though. Not at the halfway point in this league. The Titans feel great about being undefeated, but they had trouble the first go-around against Battle Ground. They understand Camas will be tough, too. And there will be another game against Skyview. The Storm did receive a lot of attention going into this season because the Storm are so talented, too. That was on display Tuesday, as well. This was a matchup worthy of a state playoff. As noted, Union is No. 1 in RPI. Skyview is No. 4. These two powers exchanged the lead eight times in the first half, too. “This is one of the best atmospheres I’ve ever played in,” Smith said of the Skyview gym. Lined up on the key for free throws, Smith tried to talk to a teammate. Union seemed to take control in the third quarter, using a 15-0 run to go up by 18 points. Then it was the Storm’s turn. Alex Schumacher, Kyle Gruhler, and Jace Chatman had consecutive three-point plays in the final quarter. Schumacher added two 3-pointers, as well. His second made it 76-74 with a minute to play. Skyview’s 3-pointer to tie just missed, turning the game into a trip to the free throw line. Union would make seven of its last eight from the stripe. Even with that, the Storm kept fighting. Squeeky Johnson’s turnaround 3-pointer with 5 seconds to play made it a 2-point game and made the Titans make free throws again. This time it was Smith who was true, stepping to the line after missing a couple earlier in the game. He did to seal the deal. Toolson finished with 17 points. He had a dunk plus he made two 3-pointers. He was solid on defense, too. Combs was consistent all day, trading off between shooting and passing, making so many good decisions. That is the story of the Union Titans so far this season. They believe in each other. And they will try to make believers out of everyone else. They also understand nothing is a sure thing this season. The Titans are alone in first place after Tuesday night, but that’s it.